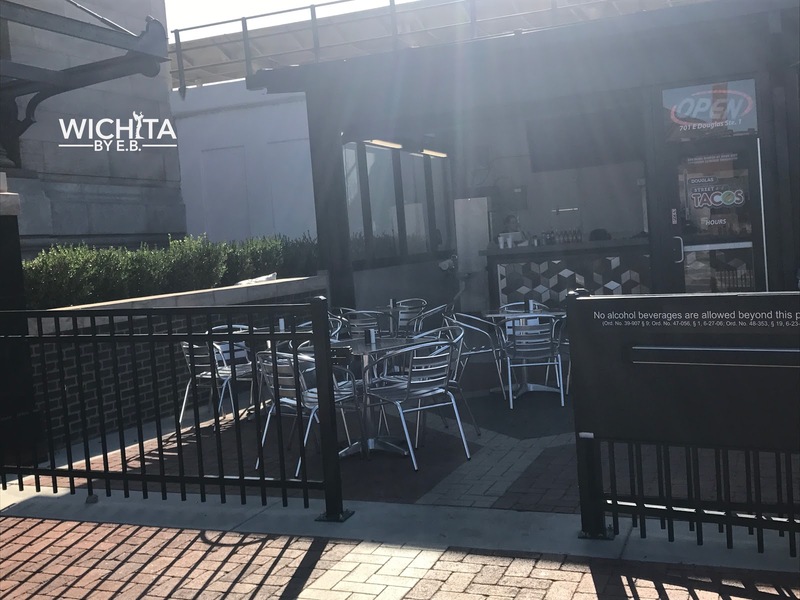 First Look at Douglas Street Tacos (CLOSED) – Wichita By E.B. 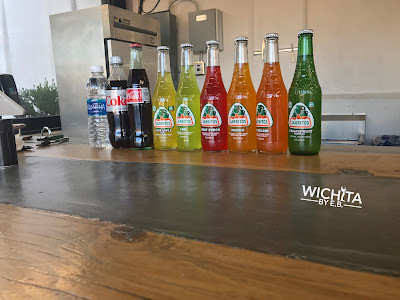 Wichita’s newest taco shop had their soft opening last week to work out some kinks. 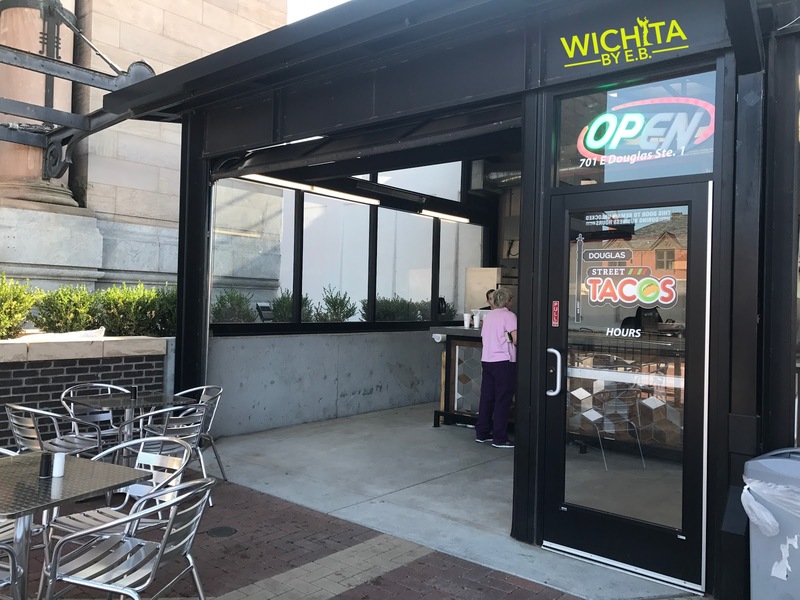 We decided to wait until the week after to get our first look at Douglas Street Tacos located at the Union Station Plaza kiosks. 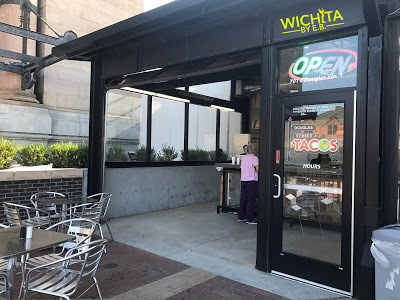 We wanted to give a shout out to our friends over at Wichita Taco Tour for giving us a nod from their blog that Douglas Street Tacos were open for business. If you’ve never read their blog, check it out. 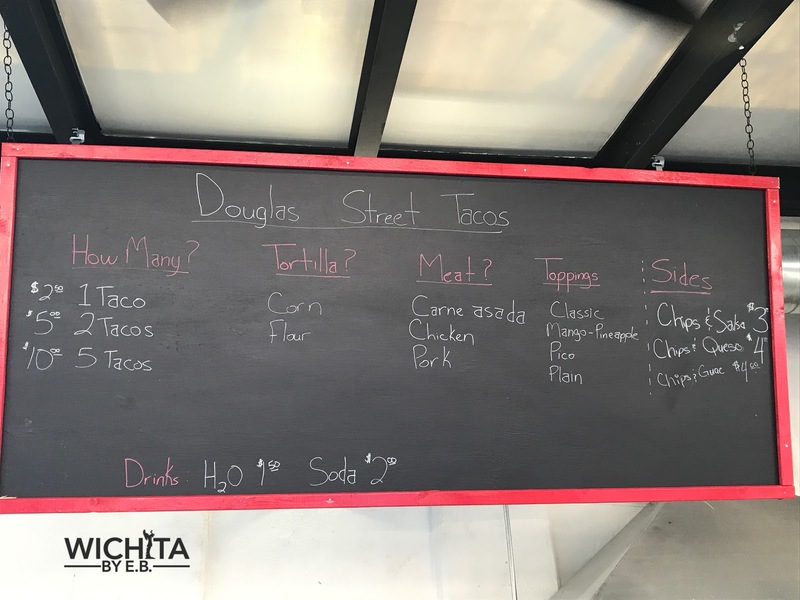 Douglas Street Taco has one big thing going for them. They are open until 3am. Looking to capitalize on the downtown crowd craving for a bite to eat once the bars close, they could really draw some good crowds post midnight. And let’s be serious, drunk people will eat nearly anything and sometimes pay anything once that late night appetite sets in. 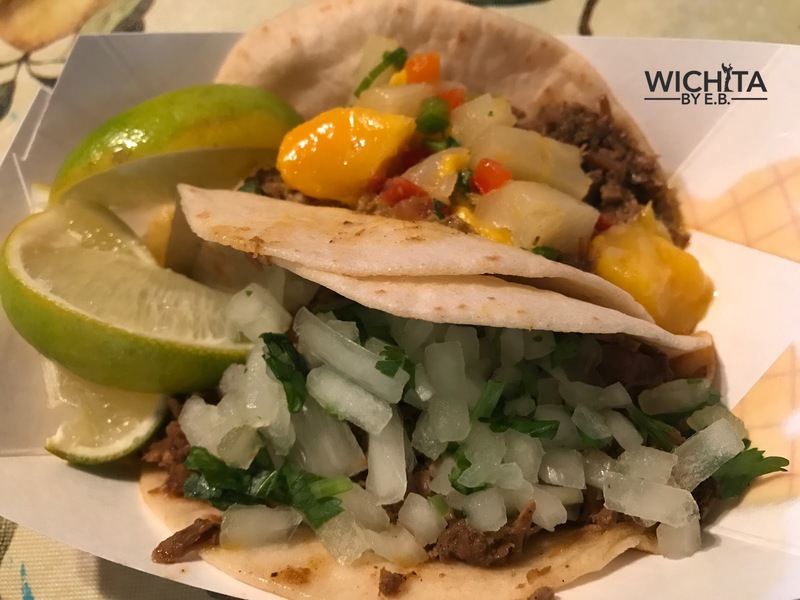 Their current menu shown below consists of corn or flour tacos, your choice of carne asada, chicken or pork for meat, then classic toppings of cilantro and onions, mango-pineapple, pico or plain. They also offer sides of chips and salsa, guac or queso. 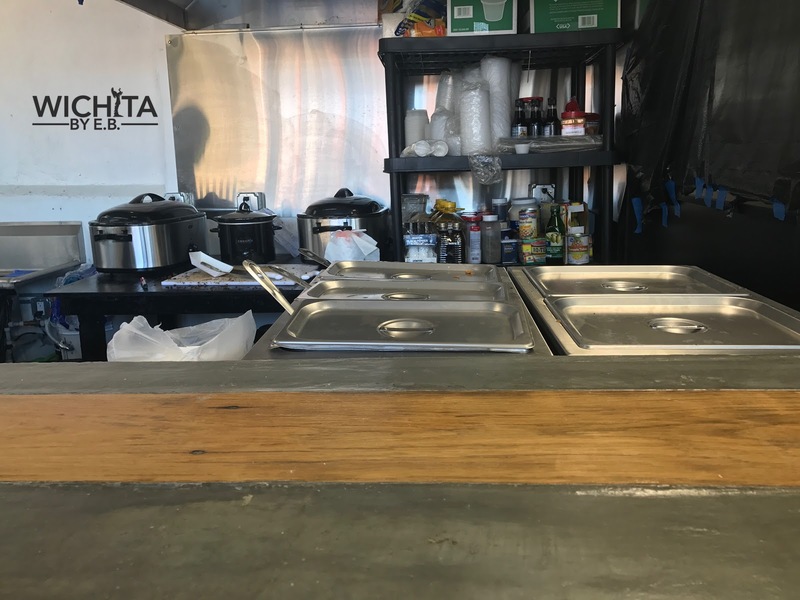 As they get processes down, they will look to expand on their menu but for now they are keeping it simple. They also have an assortment of drinks available. Tacos run $2.50 while more expensive than the city average, is cheaper than the other competition downtown. 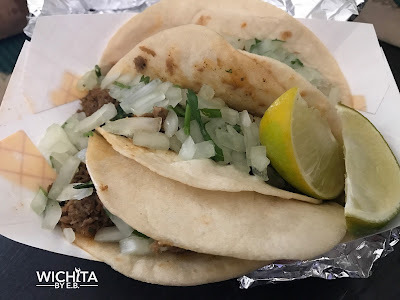 For what it’s worth, District Taqueria runs $3 a taco but their tacos have more to them. One of the first things we noticed was the meat was kept warm inside crockpots and served from heating trays. 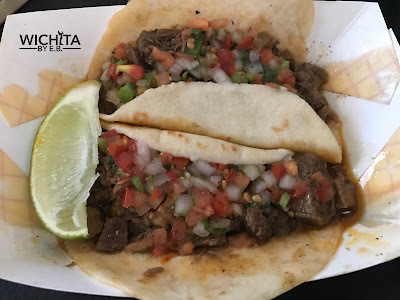 We were a bit skeptical but nonetheless ready to keep an open mind on how good the food was. My family ordered ten tacos. Of then ten, we made sure to try all of their meat options and topping options. It a was a mix and match of what we thought would be good. The timing to get our tacos was very quick. It was all, grab the shell, and place the pre-cooked meat into the shell. Boom. Done. This will allow them to serve all their customers quickly. 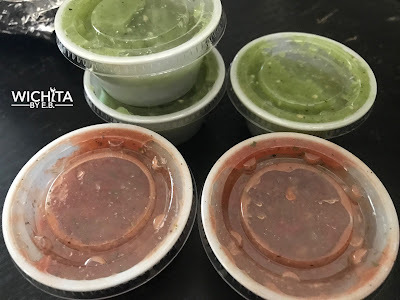 When our bags were given to us, the grease from the tacos were already seeping through the bag. Upon opening the bag, it was hard to miss the grease that was already soaking up the trays. Unfortunately this was causing an issue with the tacos themselves. The shells were falling apart and it was quite the task to eat a taco without toppings falling through or grease running down your fingers. For the actual meat quality, they flavor didn’t hit you. There just wasn’t much there and my brother was very disappointed with the pork. 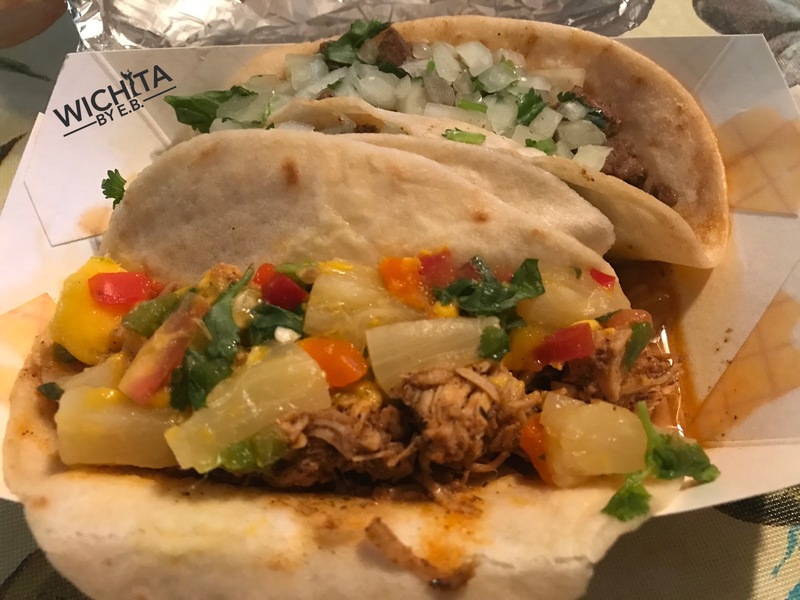 With high hopes for Douglas Street Tacos, it was an unfortunate experience. The late night eaters may not even care about this; I probably wouldn’t after a long night of drinking. But for a casual dinner with family, we were just not pleased with the quality of our tacos. The amount of grease was just too much and you could taste it in the food. While still new Douglas Street Tacos has time to work on their quality control and needs to before business starts to pick up. 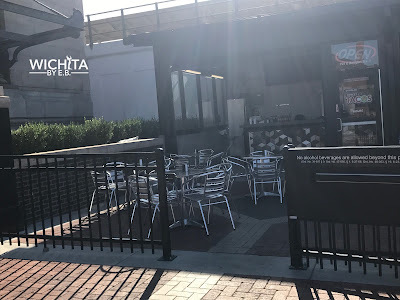 Maybe we will give this place a try in a few months while they work things out but until then, we will continue our travels around Wichita for great tacos.